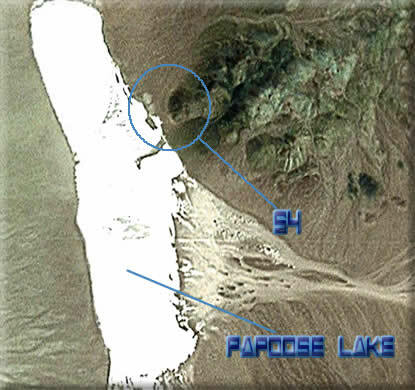 Bob Lazar is the main reason the public is aware of Groom and Papoose Lake today. 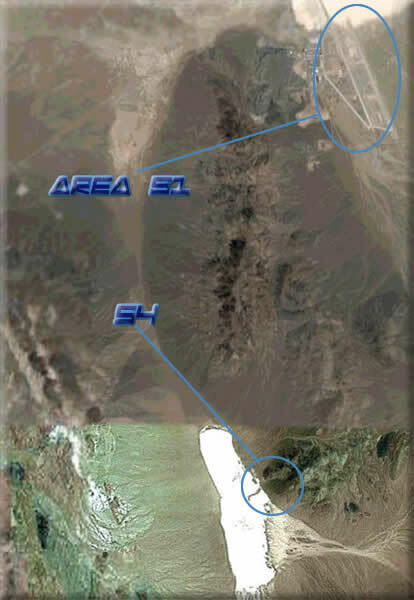 When he went public in 1989, he ignited a firestorm of interest in Area 51 which burns to this day. 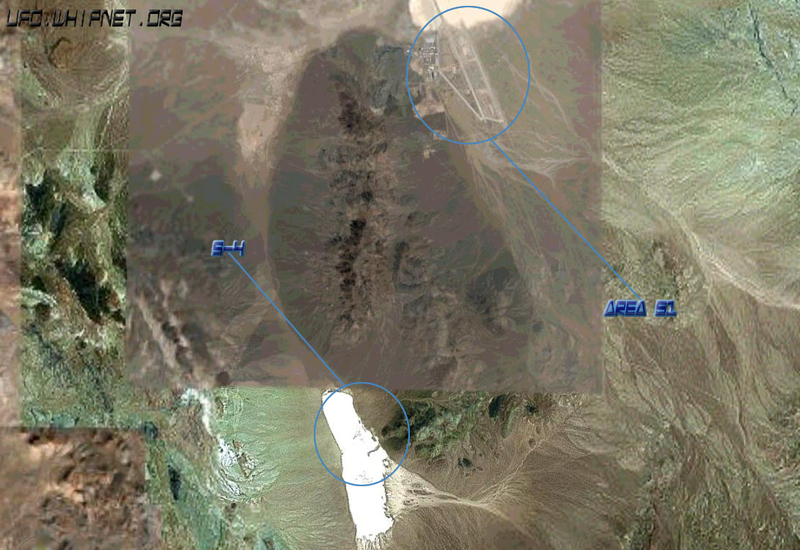 As most of you already know, Lazar described how he was flown from Las Vegas to Groom Lake, then taken on a bus with blacked out side windows to a facility he determined was known as S-4. 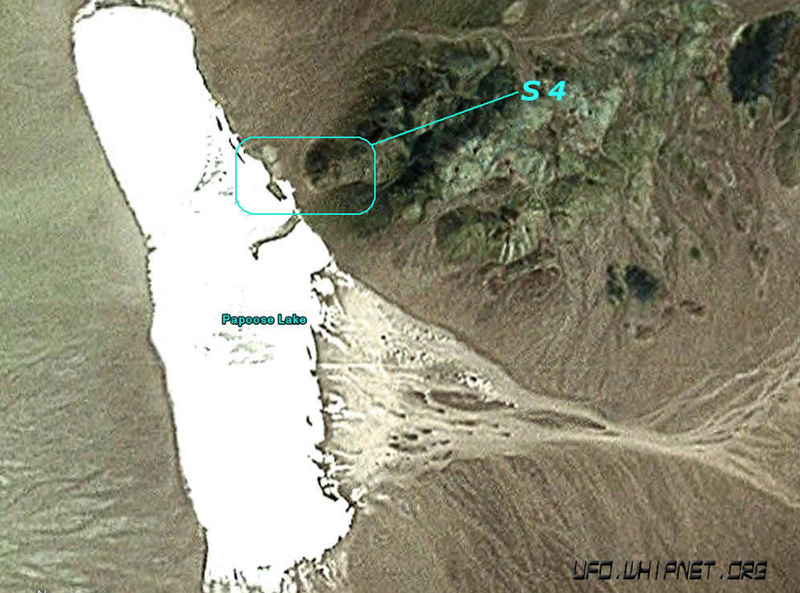 Lazar described the facility as being built into the base of the Papoose Range, with 9 hangar doors sloped at about a 60 degree angle. He said the doors had a sand-like texture coating to them, and Gene Huff later said the doors were rollup type doors. There were 9 of the hangar bays in all.